Dam of 3 Champions, including a BIS winner! Bubbla was imported to Australia by Ven Grasso and was a maternal half-sister to his leading Pomeranian of the time Multi BIS BISS CH Soffies Buddy (imp DEN). She has a pedigree full of leading international show performers and Bubbla was a great producer for us. 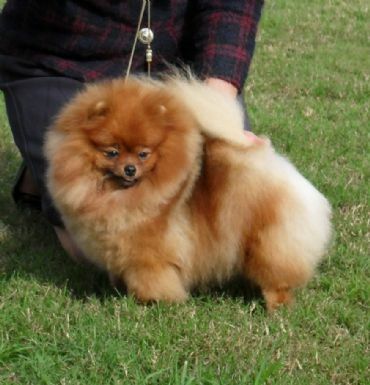 MBIS BISS SUPREME CH Pomquest Envy This, "Topaz"
CH Pomquest Enough Said, "Ruby"
CH Pomquest Here You Come Again, "Dolly"